That’s according to Beyond The Pitch podcast co-host Martin Wallwork who reckons the England international strikes a ball like the Portuguese superstar. Rashford is enjoying a renaissance under Ole Gunnar Solskjaer having looked out of sorts during Jose Mourinho’s tenure. Solskjaer has routinely opted to play Rashford ahead of Romelu Lukaku – although the Belgium international got the nod against Fulham today. 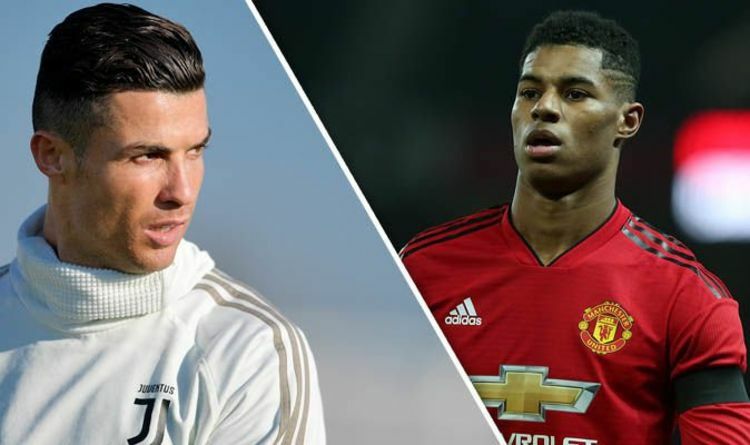 Wallwork insists Rashford still has work to do despite his talent for long-range efforts like Ronaldo. “That decision making will improve, but you don’t want that kid to stop shooting,” he told Beyond The Pitch podcast. “He’s got a hell of a shot from outside the box, he’s got that knuckleball-type ball he hits, a la Ronaldo. Wallwork’s fellow host Phil Brown is a big admirer of Rashford. He hailed the 21-year-old for his positive attitude. “To me, there’s something really likeable about Rashford,” he said. “His whole demeanour, his whole personality. “The way that young kid carries himself, that kid has a lot of class and he has adapted well to life at United. Rashford has won the player of the month award for January having bagged three goals in four league games. He isn’t fit to start against Fulham today due to a minor injury. Solskjaer told MUTV: “There are a couple of niggles. “Rashy got a dead leg against Leicester that he’s struggled with all week, so we don’t want to risk him. “At the back, we’ve got a few changes. Victor [Lindelof] is out, not a really a concern, he should be okay for Tuesday.